Lehua Island offers sanctuary to Wedge-tailed Shearwaters and other native Hawaiian seabirds threatened by invasive predators. Hawai’i is home to a variety of precious seabirds that depend on the islands to nest and to feed. The Wedge-tailed Shearwater nests on a number of islands, including Kaua’i and Lehua Island just south of Kaua’i. On many Hawaiian Islands seabirds face increased pressures due to the presence of invasive predators such as rats and feral cats and dogs. The small chicks and eggs are particularly vulnerable to these invasive species. Conservation programs are working to protect native seabirds, but efforts are often interrupted by invasive predators. Just recently a stray feral dog preyed on 33 adult Wedge-tailed Shearwaters in a colony on Kaua’i’s Westside. The event left four chicks orphaned and two unhatched chicks to be cared for by Save Our Shearwaters. Rehabilitative conservation measures can support species that are struggling under pressures from threats such as invasive species, but a longer-term solution is needed. Island Conservation and partners are currently trying to restore Lehua Island where these Wedge-tailed Shearwaters and at-risk native Hawaiian birds are known to nest. 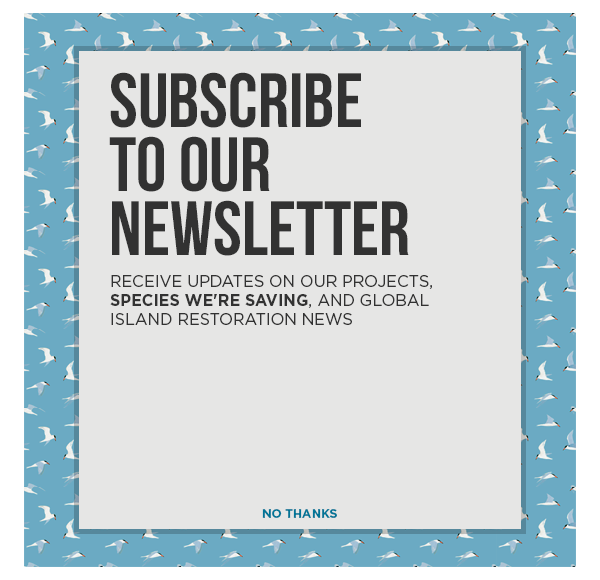 The island is historically known to be home to 17 species of seabirds, all of which could be helped by the removal of invasive rodents on the island. Seabirds are not the only members of the island ecosystem harmed by the presence of invasive predators. Endemic and native plants that have been suppressed by non-native grazing are also expected to rebound after invasive species removal. Making Lehua safe for the Wedge-tailed Shearwater and other native species is critical to the protection of native wildlife and biodiversity.